EMMA STANTON is a Chicago and New York playwright. Her plays include Bojko and the Glacier, Jitterbug, No Candy, One Wood Road, and June in the Parade. Written collaborations include Mother of Smoke (Walkabout Th­eater and Red Tape Theatre), Storm (Walkabout Theater), Cure (Walkabout Theater) and The Straight Line (American Theater Company). Her work has been developed and produced by Roundabout Theatre Company, Victory Gardens Theater, Goodman Theatre, American Theater Company, Walkabout Theater, Red Tape Theatre, Oracle Theatre, Dixon Place, Chicago Dramatists, New Dramatists, the 2016 ATHE Conference, and the 2017 Great Plains Theater Conference, where she was a Main Stage Playwright. 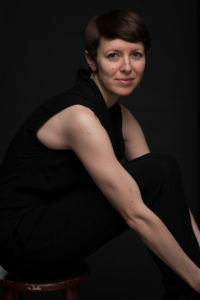 Emma was a Finalist for the 2017 National Playwrights Conference, a­­ Finalist for the 2016 Susan Glaspell Award, a Finalist for the 2016 Heideman Award at Actors Theatre of Louisville, a winner of the Columbia University/Roundabout Theater Underground Reading Series, the recipient of the 2016 Jane Chambers Feminist Playwriting Award, and the recipient of the 2016 Princess Grace Playwriting Fellowship, which included a year-long residency at New Dramatists in New York City. Emma is currently developing her play, June in the Parade, at the Goodman Theatre, where she is a member of the 2016-2017 Playwrights Unit.